Our sanctuary with its awe-inspiring, 3-story Tower of Light is an incomparable setting in which to begin a new life together. Our rose ceremony is both romantic and meaningful. 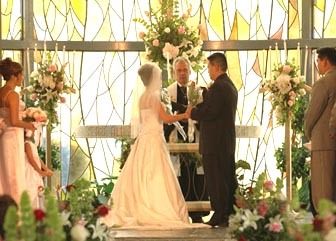 As with our church services, our weddings are inclusive of your beliefs and can be tailored to your desires. 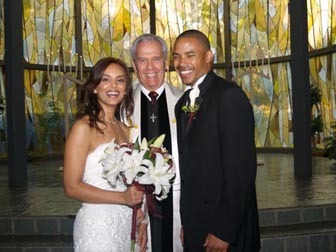 Our wedding package is open to all couples and includes: minister, two wedding hostesses (for rehearsal and wedding day) unity candle, kneeling bench, pew bows, dressing rooms, organist, maps for your invitations, and a CD of the ceremony. Reception packages are also available. 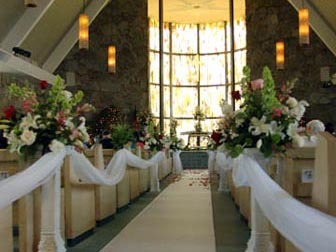 Contact our Wedding Office at (626) 574-3308 or (626) 483-1613, or via email at weddings@santaanitachurch.org. Our church is accepting of gay marriage and the LGBTQ community. 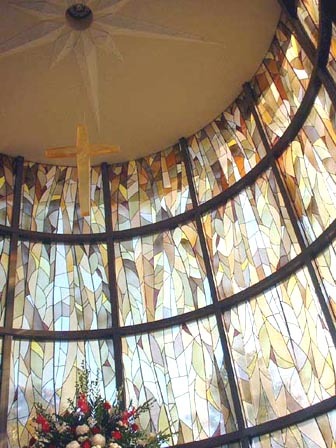 A reverently beautiful setting for your wedding is provided by our lovely sanctuary and its magnificent Tower of Light. 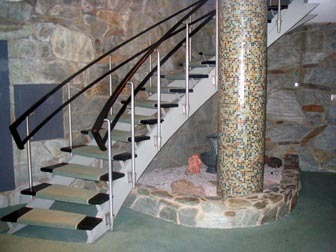 The Sanctuary accommodates 350 guests. A visit to the wedding office and your deposit secures your date and time. The Bride’s Room and adjoining restroom are spacious, well lighted, and equipped with large mirrors, numerous electrical outlets, and roomy closets. The Groom’s Room also provides ample space for gathering at the church. The church provides the candelabra, candles, and a kneeling bench. Tulle streamers grace the center aisle, topped with generous matching bows. Floral arrangements may be made with the florist of your choice. Most brides find that one large bouquet is sufficient to adorn the Tower of Light. 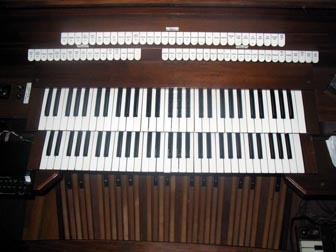 The church provides an experienced organist. The organist will work with you to select music that is both appropriate and meaningful to you. A vocal soloist is available through the church for a nominal fee (generally $75). You are also invited to provide your own soloist(s), vocal or instrumental. 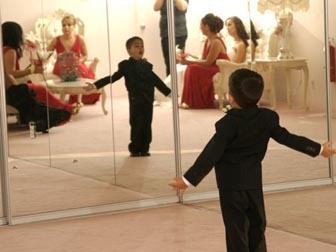 As the music presented before, during, and after your ceremony is expected to be of the highest quality, outside soloists require the church’s prior approval. Two hostesses will assist you through a complete rehearsal of your wedding service to ensure a perfect ceremony on your special day. The church offers a full reception service, or a quaint coffee and punch service. For more information about services provided visit Receptions. Families are also welcome to provide their own food service.